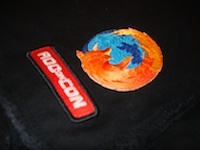 This Friday is Add-on-Con 2009, in its second year as the only conference dedicated to browser add-ons. It takes place at the Computer History Museum again in Mountain View, California, so I’m hoping the turnout is as good or better than last year. I was very excited when I first learned that Add-on-Con would happen again this year, as I had such a great time at last year’s event, despite having 0 hours of sleep the night before. If you’ll be in the Bay Area this week and are interested in add-ons, be sure to register for Add-on-Con before it’s too late! Even if you’re not going to Add-on-Con, don’t forget that we have an add-ons meetup at Mozilla HQ on Thursday night. I’m looking forward to seeing everyone for great add-on events on Thursday and Friday!